Guides, thoughts and instructions to help you with Klusster. Klusster 2.0 - Updates Live! 1. 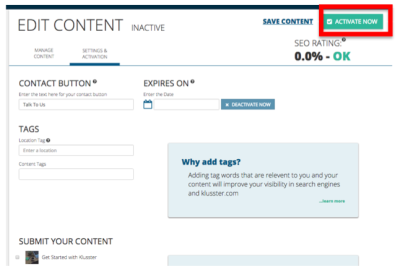 Start by logging into your account on www.Klusster.com. Select the menu bar in the top left side corner. Click Content. 2. This will take you to your CONTENT MANAGEMENT screen. 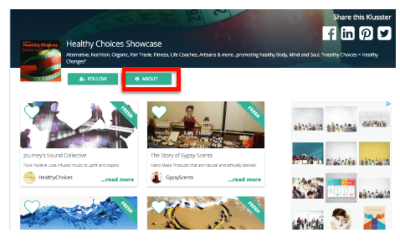 Click the + NEW CONTENT button. 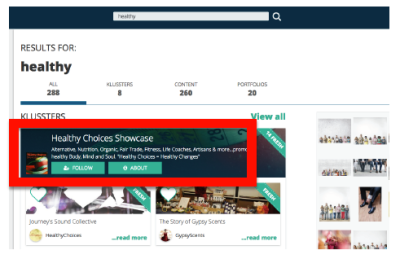 Alternatively, at any time throughout the site you can click the CREATE CONTENT button in the top right corner. 3. A pop-up will appear to confirm you want to create new content. 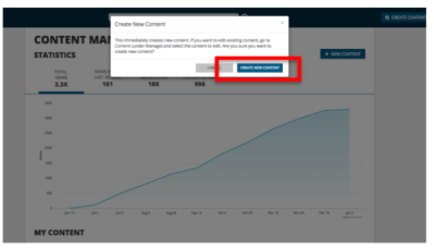 If you are sure (and you don’t just want to edit existing content) click CREATE NEW CONTENT. 4. Enter your content’s title and description. 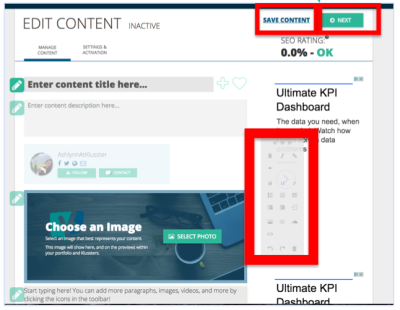 Upload an image to be shown on your content, and begin writing your content. The tool bar allows you to add images, videos, or SoundCloud audio to your content. You can also include charts, bullet points, hyperlinks, and quotes. Title and sub-title options are also available. 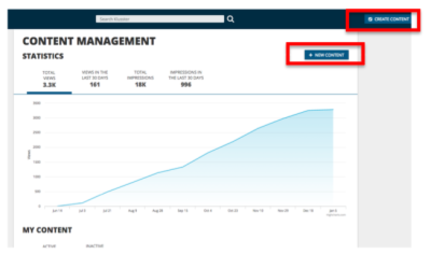 When you are ready, click SAVE CONTENT to save your content as a draft, or click NEXT. 5. Enter your customized CONTACT BUTTON text, add Location and Content tags, and an expiry date (if applicable). You may also choose to keep your content in the inactive state – please note, content must be ACTIVE to be submitted to a Klusster. Click the “Learn More” or (?) buttons for more information. 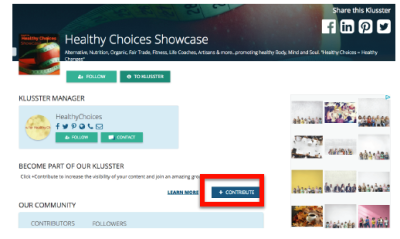 If you are already part of Klussters, or have your own Klussters, check the boxes beside the Klusster title for automatic submission upon activation. Click ACTIVATE NOW to activate and publish your content. 6. To submit this content to a Klusster, type the title of the Klusster you would like to join (or a main word in the title) in the search bar at the top of the page. Note: You do not need to submit your content to a Klusster for it to be published. 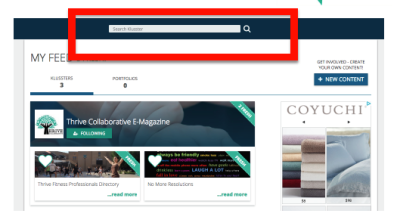 All ACTIVE content will be published in your Portfolio and visible on Klusster.com and to search engines. 7. Select the Klusster you would like to join by clicking anywhere in the banner image. 8. 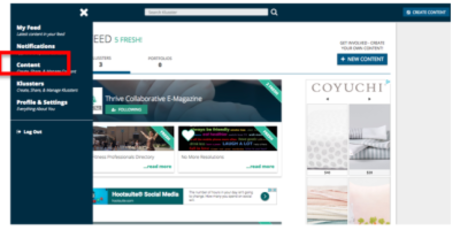 Once on the homepage of the Klusster, click the ABOUT button. 9. Click the blue CONTRIBUTE button. 10. Select the content(s) you would like to contribute, and then click Request. 11. 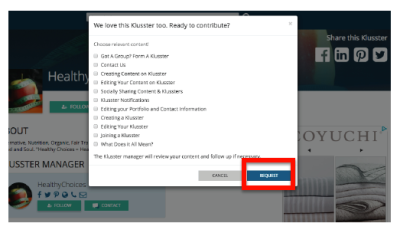 Once the Klusster Owner has approved and added your content, you will be a member of the Klusster. 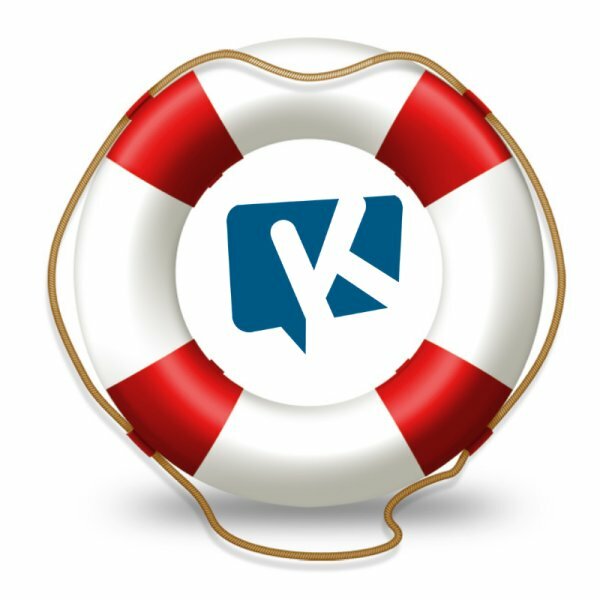 Once joined, the Klusster will appear in your Klusster Management tab. Please note that content creation and editing is not available on tablets or mobile at this time. Need some extra help? Take a look at our step-by-step VIDEO guide below. Klusster 2.0 is here - and we couldn't be more excited! Read below to see what enhancements have been implemented to help you even more. Let's see if we can't hammer this out!